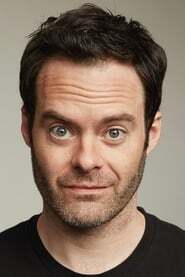 Born June 7, 1978 in Tulsa, Oklahoma, U.S.
William "Bill" Hader (born June 7, 1978) is an American actor, comedian, producer and writer. He is best known as a cast member on Saturday Night Live and for his supporting roles in comedy films such as Superbad, Hot Rod, Tropic Thunder and Adventureland. Description above from the Wikipedia article Bill Hader, licensed under CC-BY-SA, full list of contributors on Wikipedia. as "J.P. Spamley (uncredited voice)"
as "BB-8 (voice - uncredited)"
as "Firewater / Tequila / El Guaco (voice)"
as "Husband Fish (Stan) (voice)"
as "Chat Room Friend #2 (voice)"
as "Flint Lockwood / FLDSMDFR (voice)"
as "General George Armstrong Custer"
as "Studio Executive Rob Slolom"